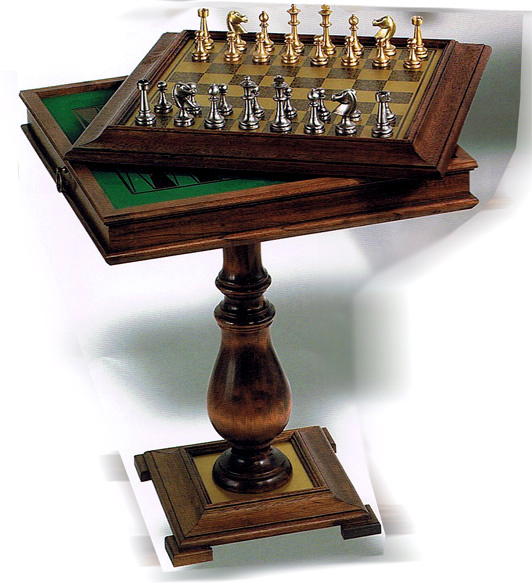 Pedestal Chess, Checkers & Backgammon Game Table with Antique Finish. •	Solid wood pedestal table with a beautiful mahogony finish with brass. • Silk screened Backgammon game board.